personality & spirit through voice. Speak Up and See the Light! 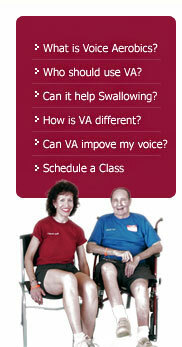 support for voice and swallowing. 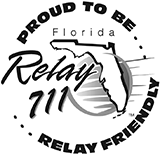 and support the goals of formal treatment! 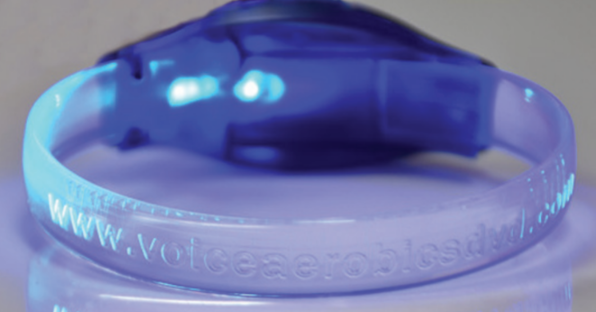 Voice Aerobics® is a Whole-Body, Voice Strengthening Program developed to focus on posture, breathing and voice. It’s guided, so nothing to remember. It’s FUN and EASY! 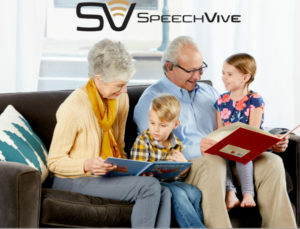 Many people suffer from changes in their voice and speech, some as a result of Parkinson’s Disease, stroke or neurological problems. 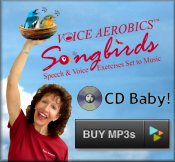 Your voice aerobic tape and songbirds CD are great and I purchased them to share with any Parkinson’s patients I work with now and may in the future. If they like it, I will have them order it. Mary, Recd the DVD and we are doing the exercises every other day. By the end of the DVD we feel our voices are stronger and hope the improvement carries over to all the time. Also, the upper body exercises is so good for Arnie as he had emphysema and his right lung has permanent damage to one lobe. 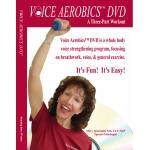 To my Parkinson’s friends, I just received Mary Spremulli’s Voice Aerobics CD and DVD. 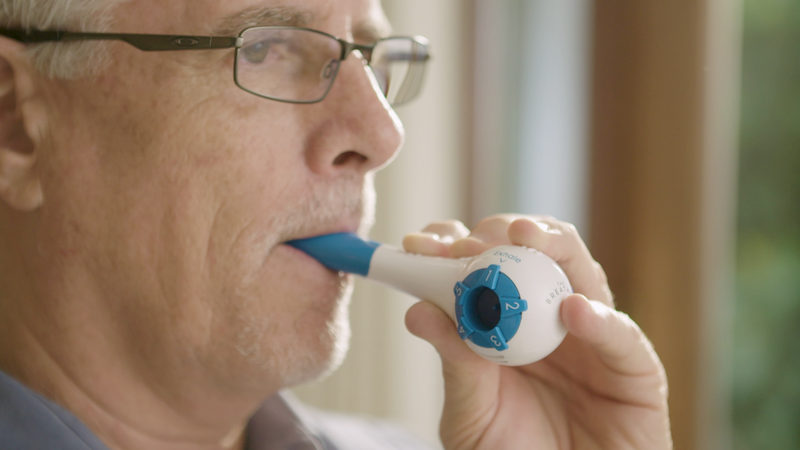 I, like many other people with Parkinson’s have been having voice problems. 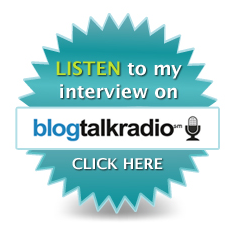 For an author and motivational speaker that is even more important. 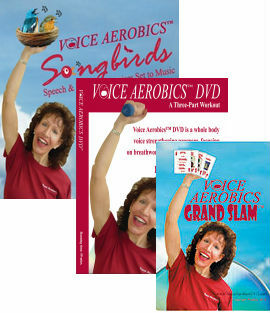 I found the CD and DVD to be a great way for PWPs to exercise your voice and have fun at the same time. 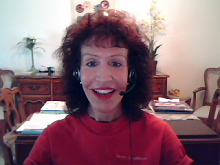 If you aren’t familiar with Mary check out her web site. I love your product. 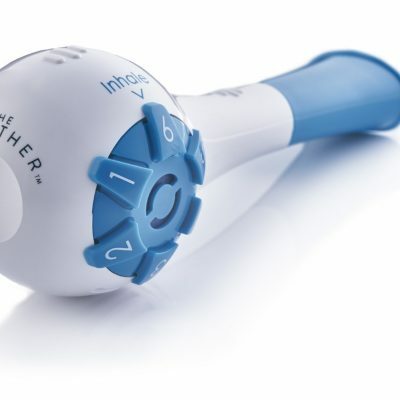 It has saved my voice. I can feel the strain on my voice from projecting to the audience today. Your voice amplifier has helped me tremendously. 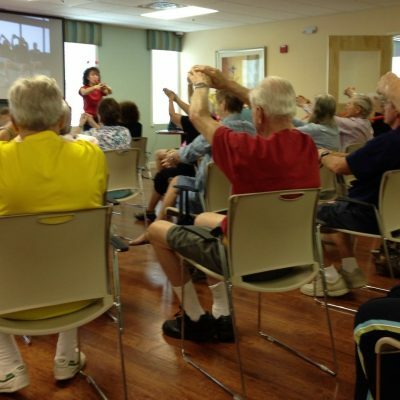 My dad has lots of exercise for Parkinson’s DVDs but yours is the one he does everyday. 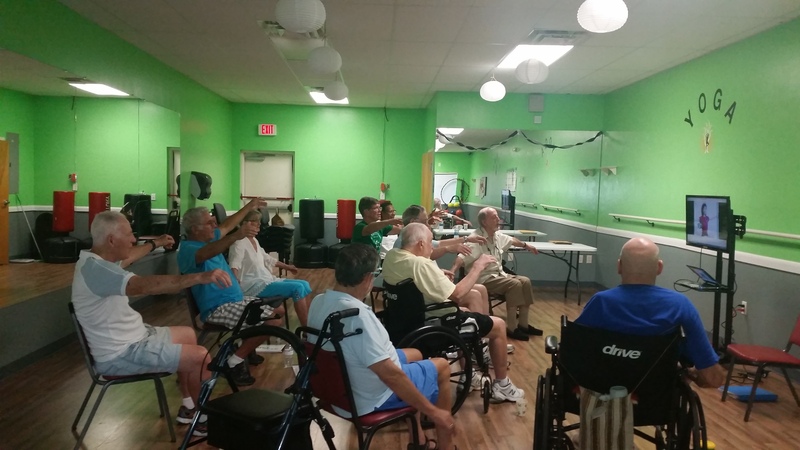 My mom likes to join him because it’s a fun class and the exercises are easy and help lower her stress. Dad enjoys feeling part of your workout group. Thanks for your enthusiasm and sincere spirit. I left my Songbird disc in Florida. Drat! I miss it and would like another. The one I’m referring to is the one on which you play the piano. I call it “The Fun One.” It has glorious patterns which keep the beat as you change tempos. August 2012 I picked up the amplifier at the post office Monday. It was such a relief to have the freedom to move around the classroom and know that the students will hear me. I also feel more confident when I go to staff meetings in the library. 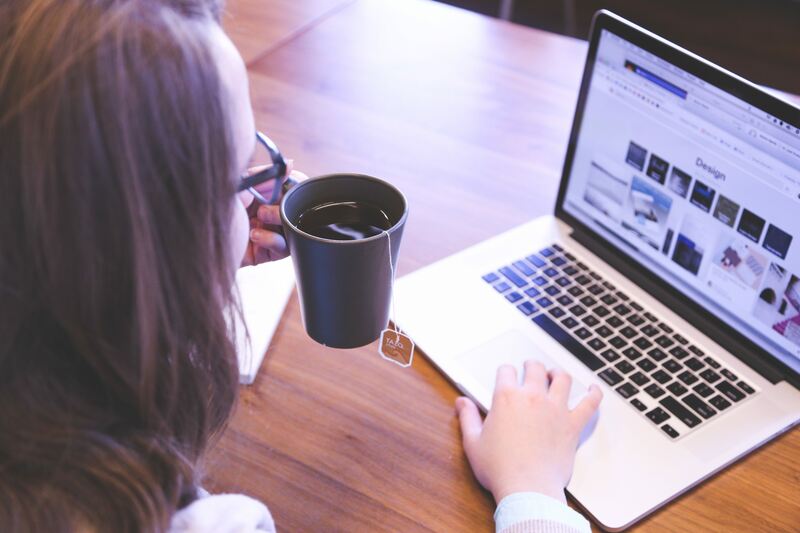 I had actually stopped talking during meetings because several teachers had mocked me when I tried to speak, but wasn’t able to project. Thank you again for expediting my order Mary! 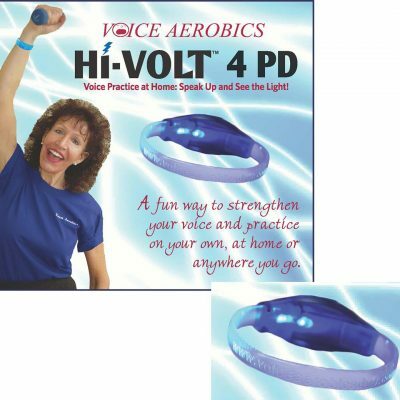 I attended your October 30, 2010 presentation of Voice Aerobics to learn more about supporting my Parkinson’s friends. Well, the invaluable information was wonderful for them, but also for me, personally. 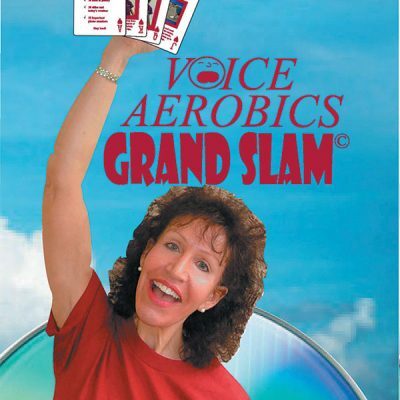 As someone dealing with Post-Polio Syndrome including upper body and respiratory system deficits, your Voice Aerobics added fun and focus to my overall exercise routine. Thank you! Thanks for the class and DVD’s. They are very helpful. The hardest part will be to actually do the exercises on a regular basis. Perhaps we will meet again. Thanks again for your generosity. We all love seeing you. I can’t tell you enough how much we appreciated your visit. We had a very large turnout yesterday based on the fact that you were coming. The class has been a hit. It was like having our very own celebrity in the house.